The following are excerpts from a dialog with katharhino at her DW, posted with her permission, to stimulate discussion. I do believe this is the first time I've done a meme. Possibly the last time also. I don't feel particularly edified by reading this, although I did enjoy reading the actual first entry of each month. I do realize I am posting much less, only several times/month, as opposed to at least once per day. I suppose that's normal in blogging, especially since I'm not currently deployed, and there is only just so many ways you can talk about how cute your kids are without terminally annoying your Gentle Readers. Anyhow, onward the meme! Last boxes unpacked or semi-put-away. Mort Walker, the author of the comic strip "Beetle Bailey," just passed away. I haven't lived in NH since I moved up to Montreal, shortly after the glaciers receded, but that is still my official US state of residence. I was working in my study and Wallstreet came to sit in my lap. The kids were lying in my lap. How many warriorsavants does it take to change a light bulb? First: Happy Canada Day. My father was a locksmith, a Mr. Fixit of the old school; from him I got my mechanical skills. Friday, Nom & the kids were visiting the grandparents. Okay, not literally what the flyer said, but close. I'm afraid that my siblings and I are getting to the age where ailments are conversation. One is a rank-conscious, hide-bound, tradition-encrusted institution, that rewards and otherwise encourages conformity, group-think, and clichéd-thinking. For some reason, haven't directly posted there for over a year; just cross-posting from here. About the only people reading it there are from Russia. Have nothing against Russian people, but if there are journal are in written in Russian (or at least Cyrillic alphabet), and not leaving any comments in any language, doubt have much in common, or reason to cross post. Eventually the account will auto-delete. NOTE TO SELF: Started cross-posting April 22, 2017. Ending cross-posting July 17, 2017. I've very flattered that total strangers, who post in a language I can't read (although some of the pictures you post are interesting), wish to read my writing. I am curious who you are, how you came upon my humble LJ, and what you think of my posts. Just posting this to let all my Gentle Readers (both of you) know I still love you. Accidental deaths caused by physicians per year = 120,000, according to conservative estimate from federal Dept. of Health and Human Services. Thus, we see doctors are approximately 9,000 times more dangerous than gun owners! Remember: "Guns don't kill people, doctors do!" Important fact: Not everyone has a gun, but just almost everyone has at least one doctor. Please alert your friends to this alarming threat. We must institute doctor-control before this gets completely out of hand! OUT OF CONCERN FOR THE PUBLIC AT LARGE, WE HAVE WITHHELD STATISTICS ON LAWYERS FOR FEAR THE GREAT SHOCK WOULD CAUSE PEOPLE TO PANIC...AND SEEK TO GO TO DOCTORS. 2. Was eventually going to do a post about this, but don't have the time to structure a good one. However, simply put, these numbers also support my point, that contrary to the "sky is falling" school of modern life, that the chances of being killed by murder, terrorism, or war, is the lowest it's ever been in history. Watch less TV news, read more history; it gives great prespective and comfort. The icon for "renovations." It's a mushroom cloud superimposed on a ruined house. This is a lot more than just “keep a pen and paper handy.” (Although when I was a junior officer, we were told that the most important field items for j.o.’s were a flashlight, pen & paper.) A scientist’s notebooks are considered practically sacred, and that is traditionally pounded into the head of grad students in science. (Not sure with computers everywhere if that is still the case, but should be.) The famous men listed in the article were not all scientists, but all had reason to keep observations of daily life, some of which spun off into science, art, & literature. I also once recalled reading that Charles Dodgson, aka Lewis Caroll kept a pocket notebook, which he used to keep track of correspondence, with little symbols for received, sent, importance, etc. All of these men would review their notes while they were traveling, waiting, etc. At such moments, modern people fill in the time with more important things like Wastebook. (Writes the man posting this to his blog.) Sometimes a blog is similar, filled with random observations that may become important sources of knowledge or inspiration, or important references later, but mostly not. The closest I came to this habit was deployed to Iraqi Freedom (pre-LJ days for me). I still have the 3 green Army-issue notebooks. Each day started with tabulating the weather, scud strikes, & how many cups of coffee, tea, and spiced coffee I drank with my Kuwaiti counterparts. From there, went on to notes about the day. Not quite the stuff of Charles Darwin or Mark Twain, but important to me at the time. 1. I confess to once having had a Starbucks Pumpkin Spice Latte when I was desperate for caffeine and there was no other option (forgive me, gods of coffee). It was actually good, as long as you accept it for what it is: ersatz flavored sweetness that happens to contain caffeine. Okay as long as this what you want, and you don't confuse it with coffee, sorta the drinkable equivalent of the difference between Macdonald's and dining. 2. From a discussion with ravensron "American" coffee can often be little more than brown tinged water these days, but note comments about old-fashioned percolator coffee. Of course, that was in the good ole days in the US, when men were men, women were women, and sheep were nervous. The meaning of "regular" varies with where you are. I was surprised the first time someone asked if I wanted regular coffee and it came with <s>crap</s> milk and sugar in it. My friend who was an RCAF fighter pilot in the Cold War days used to call that "NATO standard." Taking that up a notch for adding stuff is the Canadian "double double" which is with two milk and two sugar, mostly at Timmies (a.k.a. Tim Hortons, a national chain/institution). 3. Following suggestions by mme_n_b I tried cold extraction, both with and without Vodka. It is smooth, and very highly caffeinated. However, I find the version made with water to be rather boring to the taste, whereas the Vodka adds a lovely bite to it. I always was found of Irish Coffee and coffee with Kahlua. Alcohol and coffee: mixing two the essential food groups, let's you do stupid things faster and with more energy. I also tried making Turkish coffee, which I used to do regularly, but haven't in many years. I seem to have lost the touch. Going to have to work on it. 4. Last but not least, when I want to have "dessert in a cup," I'll sometimes make Vietnamese coffee, a.k.a. café sho da (literally "coffee ice milk"). It's made by slow dripping chicory coffee into iced sweetened condensed milk. An even better dessert than cappuccino. Yum (just like certain Vietnamese women I know/am married to). labeled "Post in blog" near the right side of the banner. shows how this will appear. previous version. 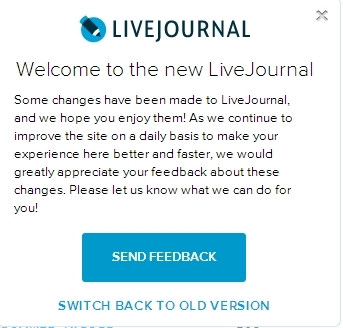 An image of this dialog box can be seen at http://ic.pics.livejournal.com/markf/1314111/44151/44151_original.jpg. Perhaps a more accurate title for this post would be “On Names, Pseudonyms, and Confusion. However I like the title, as well as being a poem by WH Auden and a short story by Ray Bradbury. Poor Nom. She’ll get used to my ways some day. Thanks to my many fans for the input (after you finished choking on your soup). It was a close contest, but something about Rainbow (Bambo?) just spoke to me. Do I have to rename this blog daddysavant? warriordaddy? Naw, ain't gonna happen. No doubt those of my Gentle Readers who have children of their own have been smiling, partly with me, partly at me. I'm aware that all my experiences and "revelations" are new only to me; all parents go through them. Maybe some day Hedgefund will read it and she will smile - or pick up some tips - or.... Sorry, lost my train of thought, had to watch someone stretch and yawn. We're back home. Day three of her life. Last night let Nom get some much needed sleep; I took care of Hedgefund in and around answering her fan mail. In between typing, even when not actively caring for her, being entranced by her smiles. Intellectually I am completely aware it is the effect of oxytocin on the brain; on the other hand, don't care, am enjoying it. Enough oxytocin, combined with some prolactin, and I could breast feed. Uh, no. Guess, I'm just not dedicated enough parent. I realize, that just b/c there are now little people things that have to be done (eg: food, laundry), the big people things don't stop - we also need food and to do laundry. (Yeah, stop laughing at me) Last night, en route home, part of the discussion was "want do you want for dinner/do we have any food in the house?" Answers were: "dunno" and "dunno." Actually, didn't have much in the house and didn't feel like stopping so had frozen pizza and drank a toast to our new family (with club soda). Felt just about right. Nom's having actually moved in with me won't actually sink in until tonight, when the weekend ends, and she doesn't go home. I suspect we'll both survive. Did some shopping today, but mostly unpacked and tried to find place for everything. It's amazing that, for two people who "don't have much stuff," we seem to have lot's of stuff when trying to merge two households and put everything away. Since I'm a very neat and orderly person*, and since stuff expands to fill the available closet space**, I had everything kinda spread out. Not really spread out, but a space for everything. Have been going through our "not very much stuff" and seeing what could be thrown out (not really that much), consolidating some***, and rearranging my stuff to make room for her stuff. Am making room in the closet in the den by going through old photos and clippings and putting them into books. Nom tells me that she doesn't need that much space here. I point out that I've been meaning to do this for, well, years, and it's a good excuse. Organizing photos and souvenirs and old Army memorabilia was on my "to do" list. Specifically under the heading of "to do... eventually... before I die... if I get around to it." Really did want to get to this before Hedgefund is born or likely won't do it before I die (and equally likely after that). I am enjoying looking at the photos, which is what they're there for. Found a stack of emails from when I was deployed to OIF-1 (Kuwait/Iraq 2002-03). Didn't start blogging until the next deployment (Afghanistan 2007), but did email my brother. Since my parents didn't do email, he'd print them out and snail mail them to my parents. They saved them, and later gave them to me. Will sort them out and put into binders as a pseudo-blog (if feeling really energetic might scan them, but not likely). * Like that's a surprise. ** Years ago, had a friend who renovated her condo and only put in one closet on the grounds that however many closets you have, you fill them (and so accumulate junk). **** Yeah, I'm footnoting a footnote; deal with it. Anyhow, a bottle is always completely full - half with liquid, half with air. Mostly, I just say "it's half of bottle of whatever" and let my interlocutor draw his/her own conclusions. A goodly chunk of life is spent just running your life: paying bills, buying necessities, doing laundry, etc. This morning am some administrative housekeeping, both for home and work. Of course, I do the most important tasks first, like updating LJ. Renewed my account (so you're stuck with me for at least another year) and did some "administrative housekeeping." I have too many tags, and decided to rename or remove some of the lesser-used ones, including the one housekeeping. Sometimes tags seem really important when you create them, but almost never get used again. Every now and again, I go thru the list and get rid of some of the rarely-used ones, like plumbing and housekeeping. Sometimes they get replaced by other tags, sometimes just deleted. A few (like dr. who and museum-amer. mus. nat'l hist.) I keep b/c they are important on some level even if I rarely use them. A few (like politics and political systems) get merged. Yeah, okay, I'm boring. Time to do some real work. Seeing Nom later. Have a good weekend Gentle Readers. Smartphone We started off with the bad. My crackberry died. One minute working, the next dead. Fortunately there's a dealership around the corner from me. Unfortunately, they confirmed it was dead (and off warrantee). Now have a shiny new crackberry Z10. Does all sorts of neat things, if I can only figure out what they are. I think I can even make calls on it. Haircut Still trying to get a non-Army cut that Nom likes, and that I can live with. I think we've gotten something close. Close in the back, fairly close on the sides, a bit of length (say an inch or so) in front and on top, with a small amount of (*gag*) mousse. I actually bought a comb. Life of Pi. Beautiful. Very good, although slow in parts. Reasonably faithful to the book from what I remember (it's been a long time). Worth seeing. Expendables. Had seen Expendables 2 in the theater, which was fun in a goofy way. It was meant to be a spoof on action movies. Thought should see the first one (on DVD). It was also goofy fun, but it was meant to be a serious action adventure movie, if that's not an oxymoron. As long as you accepted the lousy acting, silly story, and cartoon violence for what they were, it was fun. Nom's Family Her cousin who'd moved to Toronto came in for visit. About a dozen went out to dim sum for brunch. Not bad, but way too much food. Food, other Had some. Nothing earthshaking. Multiple blogs I know some of my Gentle Readers have blogs on other sites as well. Sorry, I love you all, but not going to check multiple sites. I might end up the last person on LJ, in which case I will shut out the light at the end of the tunnel and stop blogging, but for now, here I am, and here you are. Butterflies! Papillon Libre (Butterflies are free) at Botanical Gardens. The New Yorker in me blushes to write this, but even better than the one at Natural History Museum in NYC. Bigger, more butterflies, more varieties of butterflies. These are all items I promised to explain or get back to you about. Nothing per se. It was an experiment. A friend and Gentle Reader claimed that these topics in the subject line would draw a huge number of hits. Partly correct. Did get more hits than most posts, but less than about the Tongue Troopers. Apparently people are more interested in language wars and the silliness of the Quebec Gov’t than they are in pop divas and unusual sexual practices. Almost gives one hope for our times. - “Hawaii” can refer to several different but related things. Most commonly, it is the 50th US State. It is composed of 8 large islands (7 of them inhabited) but most people only think of the 4 largest: Hawaii itself (a.k.a. “the big island”), Oahu (where is the capital, Honolulu), Maui and Kauai (the most beautiful). - The state of Hawaii actually includes 100’s of islands and atolls of the Hawaiian Island Chain, stretching across 1500 miles (2400 Km) from the big island (which is about 1/3 of the way across the Pacific) to Midway (which is not-surprisingly, half-way across), although Midway is federal territory, not part of the state of Hawaii. - The islands were formed by a magma hotspot, which remains stationary as the tectonic plate floats northwest. Therefore Hawaii (big island) in the southeast is the newest and largest island, still being formed by active volcanoes, whereas the atolls in the northwest are the oldest and slowly subsiding into the ocean. - Hawaii is the southernmost (take that Texas and Florida), but Alaska is actually the westernmost. The money Nom's father gave me for Tet (for luck and prosperity)... the coffee was good, the lottery tickets didn't win, and I doubt I changed the lives of any panhandlers (although how would I actually know) but have 2 more toonies to give away. Everyone has baggage. For some people it’s a carry-on, for others it’s a couple of steamer trunks. Not big on memes, but ecosopher talked me into this one. It is the first sentance of the first posting of each month of 2012. Her's seemed to make an interesting coherent flow, mine less so, but I leave my Gentle Readers to be the judge of that. It looks rather like the one in the icon. For entertainment value for your dollar, iPad games are the best. Last night I disassembled it to fix it, then found out I didn't have any big enough wood screws, and the hardware store was already closed by that time. Just had an article published. Rereading my last post, I was struct by references to my past. Reading an interesting book, The Forger's Spell by Edward Dolnick, It was Nom's birthday last night, and we celebrated at Chef Jerome Ferrer's restaurant Europea. Many things happened on this our last day, but the Basilica of Sagrada Familia deserves it’s own posting. Nom and I took a romantic cruise, with a show, and fine dining. Saw The Tempest the other night. I think I’ve mentioned that my French is quite variable. Thur - Leonard Cohen: Leonard Cohen, the great Montreal born singer, songwriter, poet, and author, was in town for 2 sold-out concerts.